On average, the treatment process at the WRF generates a little more than 15 dry tons of residuals, commonly referred to as “sludge”, per day. Plant staff has two methods available to dispose of this large volume of residual material. 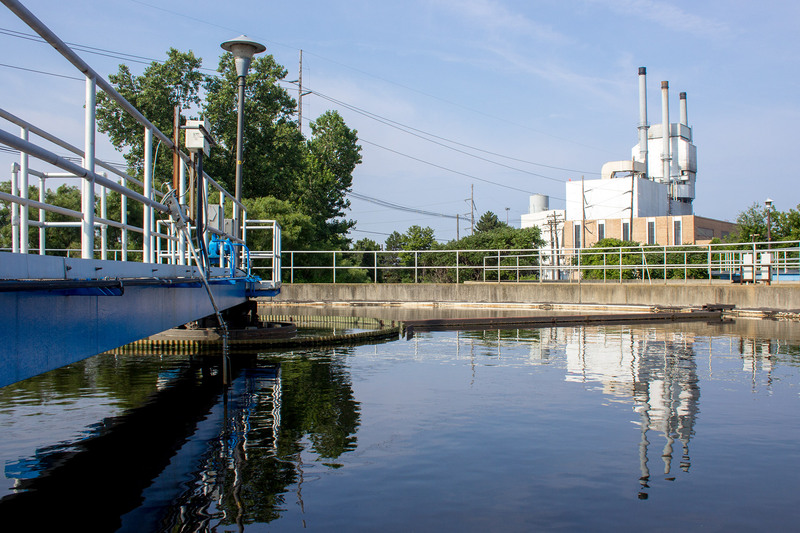 One method is to dewater the sludge via mechanical equipment that presses water from the sludge to generate “cake,” which is then dry enough to be disposed of in a landfill. The second method is to stabilize the sludge with lime (increasing the pH to kill pathogens) and have it subsurface injected into farm fields where it is provided free to area farmers for beneficial reuse as a fertilizer and soil amendment. Historically, the two disposal methods have provided HBPW with sufficient options for disposal of sludge generated at the WRF. However, in recent years both options have experienced new challenges that have resulted in much higher disposal costs and times where the available options cannot keep pace with HBPW residual production (resulting in even more costly alternatives like hauling sludge to another area treatment plant). Due to easy access to other fertilizer options and increased technology in the agriculture industry, availability of land for application of biosolids has decreased notably in recent years. In turn, this has resulted in challenges getting enough biosolids removed from the WRF and have resulted in land application costs increasing by more than 65 percent in just the last two years. At the same time, area landfills have started to limit the volume of sludge cake that they will accept. The restriction is due to the moisture content of the sludge cake. Landfills maintain a certain ratio of wet waste to dry waste in order to assure the stability of the landfill berms. As recycling has decreased the volume of dry waste from households and small businesses, the volume of wet waste like sludge cake that the landfills can take correspondingly decreases. Costs of disposal also correspondingly increase with this shift and HBPW has seen landfill costs increase more than 200 percent in the last 10 years as a result. To address the increased financial and operational risk associated with these issues, HBPW’s staff undertook a study to evaluate options to mitigate these risks. The study looked at multiple potential solutions, but ultimately led to a recommendation to conduct a more thorough evaluation of a process called anaerobic digestion. In anaerobic digestion, microorganisms break down organic compounds, producing a byproduct of various gases like methane while reducing the volume of solids. Another benefit to anaerobic digestion is that it produces methane gas, which HBPW could capture and burn as a source of renewable energy. The next steps involve a study that HBPW will complete in the winter/spring of 2019 to confirm there are no issues with our sludge in the digestive process and to estimate gas production. This would allow HBPW to properly calculate returns, both financial and sustainable, on the potential investment.